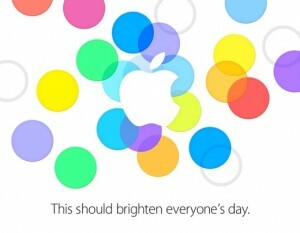 Tomorrow it the long awaited Apple event, but what do I expect Apple will announce? Of course we’ll see the next gen iPhone, that’s pretty much a given. But I’m hoping it’ll be more than just a ‘speed bump’ with a faster and more energy efficient processor, better graphics, longer battery life etc. The rumors say it’ll have a fingerprint scanner in the home button, but I’m sceptic that’ll happen. Reacties uitgeschakeld voor The Apple event is tomorrow, what do I expect? I’ve decided to change the website a tiny bit. This page isn’t the front page anymore, instead I’ve opted for a static front page with a little welcome message and some important links. I’ve been pondering about this for some time now, do I post everything on this site in Dutch, my native language, or do I post in English for the sake of internationality? And I’ve made up my mind! So from now on I’ll be posting in English so the non-Dutch visitors, if there are any, can actually read what I’m saying! Reacties uitgeschakeld voor Changing to English!